There’s not many bands that have the respect of everyone on the punk scene. 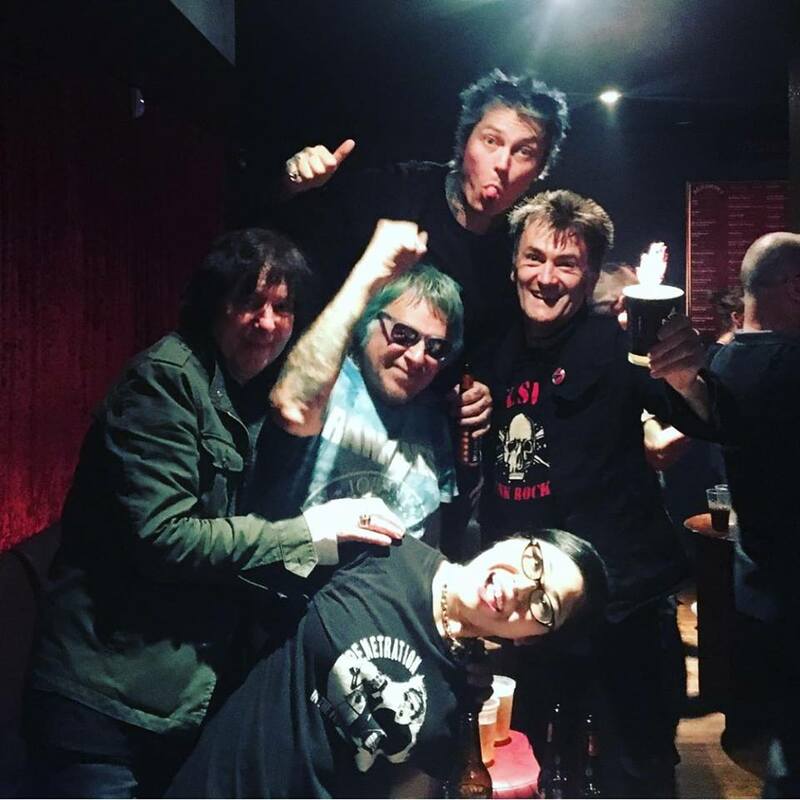 But Charlie Harper’s UK Subs is the exception. They formed in London in 1976 as the Subversives and have been the mainstay of the punk scene ever since. Charlie is venerated as the godfather of UK punk and yet there seems to be no slowing down for him. It must be the fine Sussex sea air near to his house. I mean man 42 years of continually flying the punk and R’n’B flag, now that’s commitment! No wonder they are widely recognised as one of the most consistently and visibly successful punk bands – they maintain and pioneer the true spirit of punk rock, without the compromise and watering-down that has affected so many of their contemporaries. The band have released an album for every letter of the alphabet from 1979’s ‘Another Kind Of Blues’ through to 2016’s ‘Ziezo’. 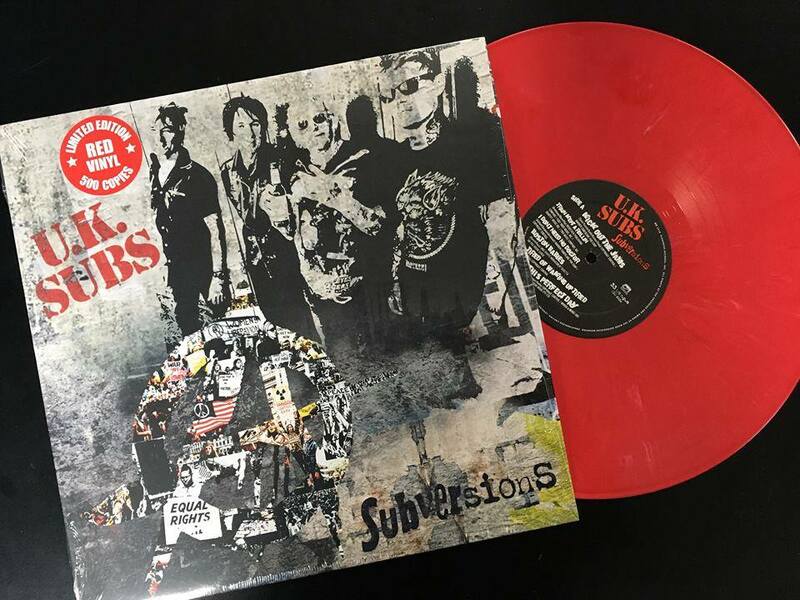 Now there’s even a brand new album release entitled ‘Subversions’ which is a covers album of Charlie’s fave tracks down the years. 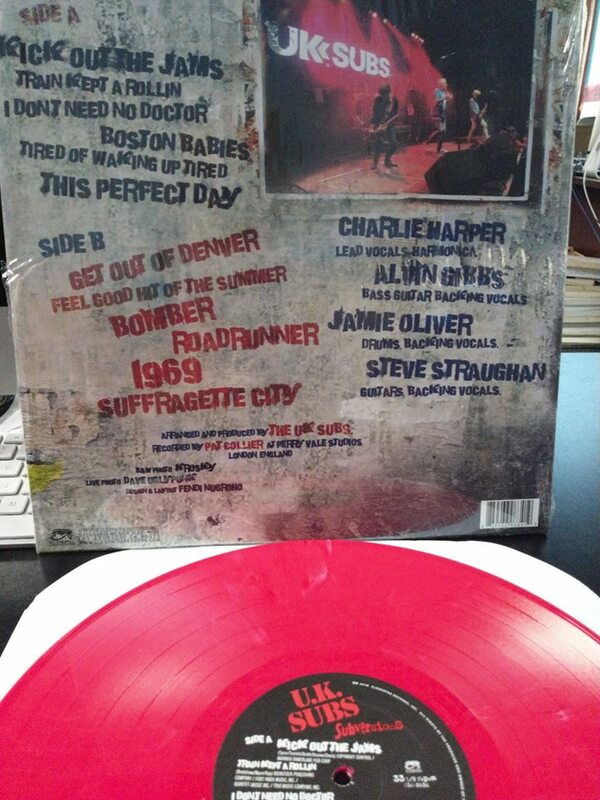 It’s available on cool red vinyl, whilst stocks last. In fact there’s always something on the go with Charlie, whether it be playing with his beloved Subs or going it alone as a blues artist or simply turning up to support other punk acts. I have even seen him help out on merch stands for other acts whilst they are performing on stage. For Charlie it’s a way of life. I can’t think of any other male senior citizens who sports a whole mop of dyed blue/green hair – Legend! The UK Subs are still great fun. (The lady in the photo is Charlie’s wife Yuko, just in case you were wondering). I have witnessed the UK Subs many times over the decades and they honestly still have that essential 1977 sound! 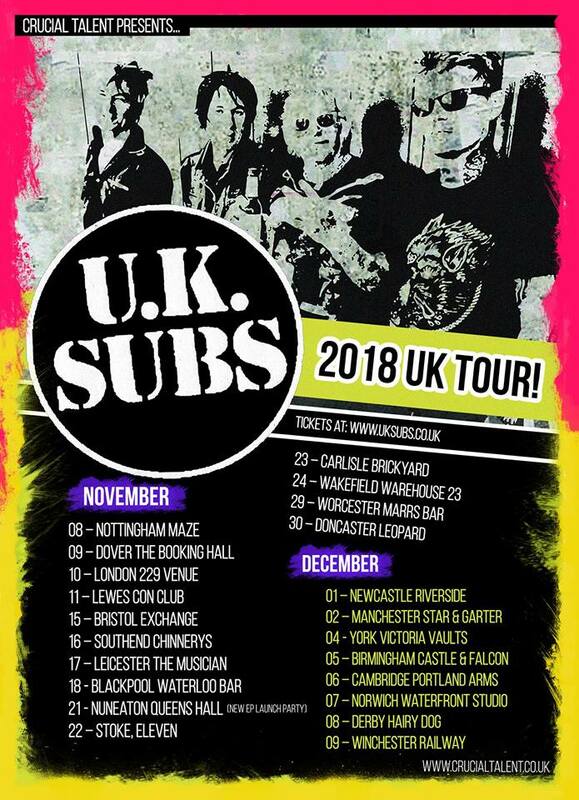 You can catch the UK Subs on Sunday 11th November at the Con Club in Lewes, which is located at 139 High Street, Lewes, East Sussex, BN7 1XS. 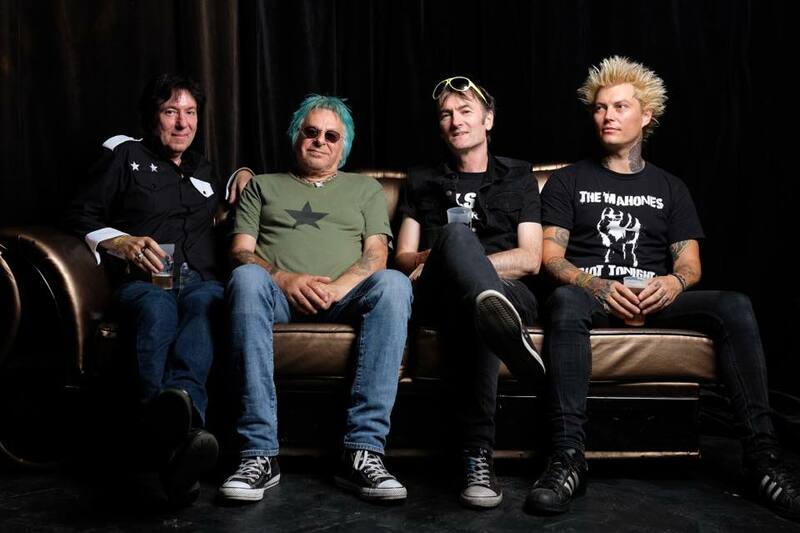 The doors open at 7:30pm and there will be special guest on before the UK Subs take to the stage, so it’s well worth getting there early to check out who else is on the scene.